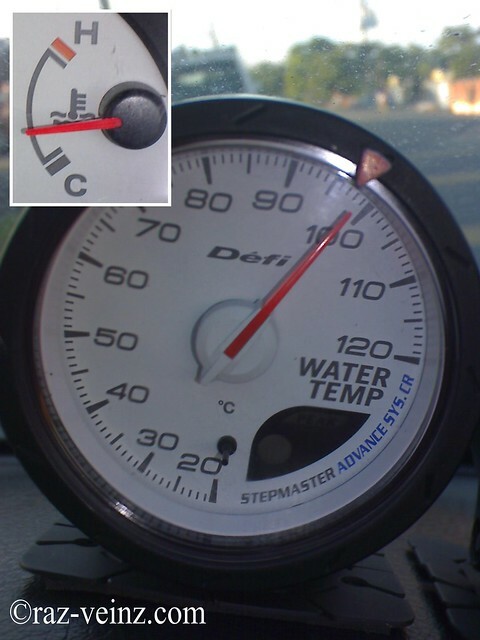 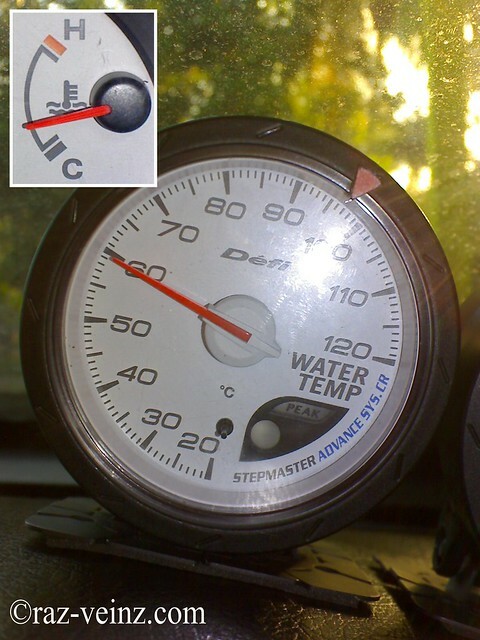 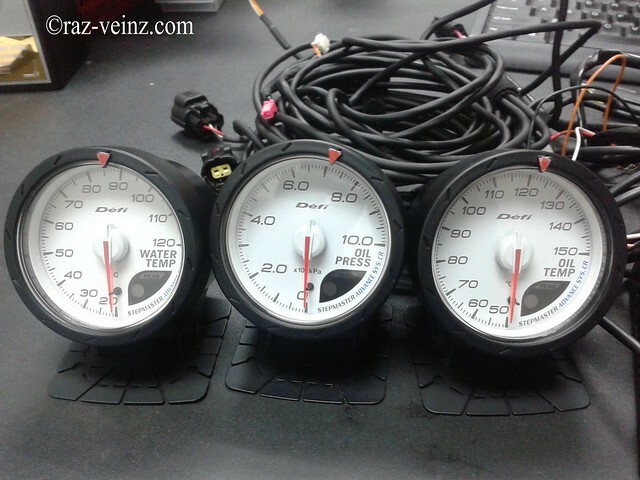 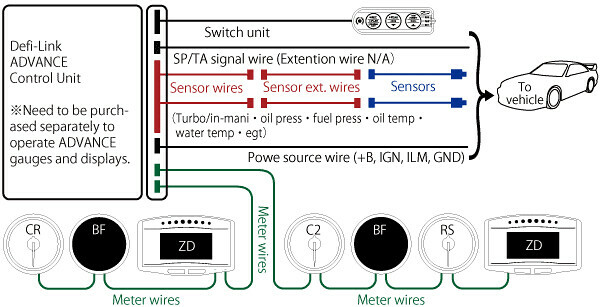 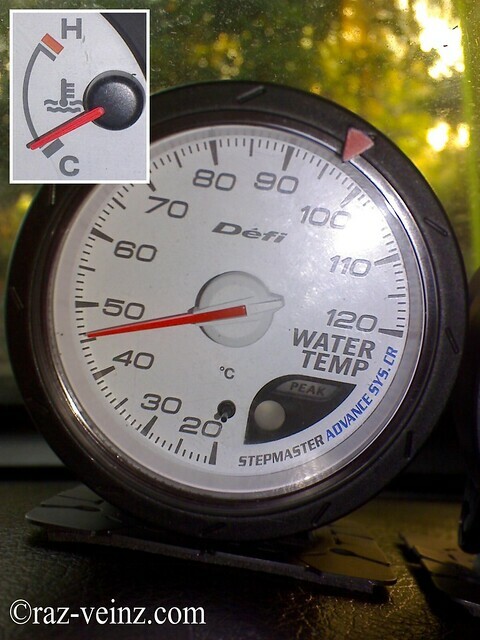 Official Raz Veinz Blogsite » Blog Archive » Defi’s Water/Oil Temperature and Oil Pressure Gauges Installation and review. 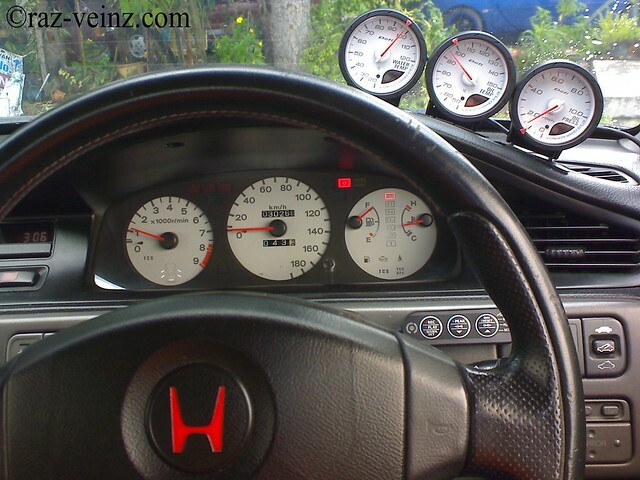 Why do we need an additional gauges? 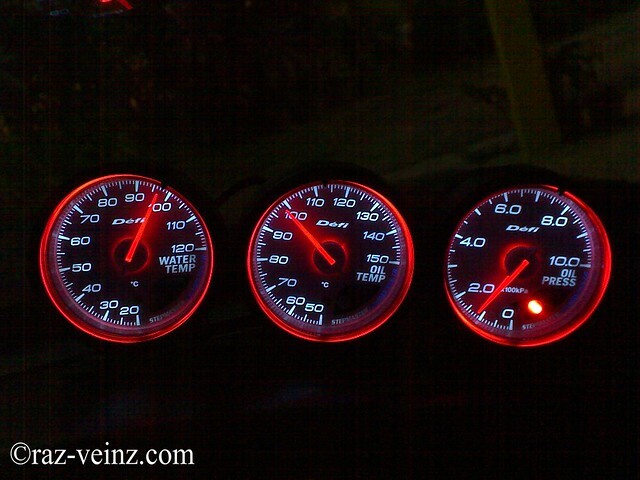 For me, is for the accuracy reading and additional important information, and get the bonus, the racing looks! 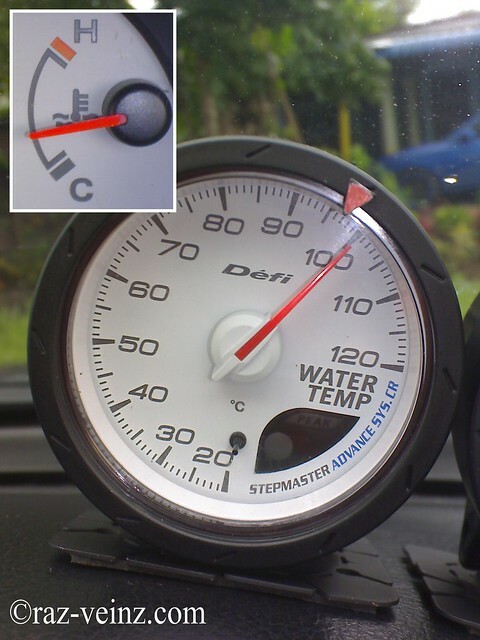 I do believe in the precision technology that Defi offer, installation is very straight forward, you could download the manual from their website. 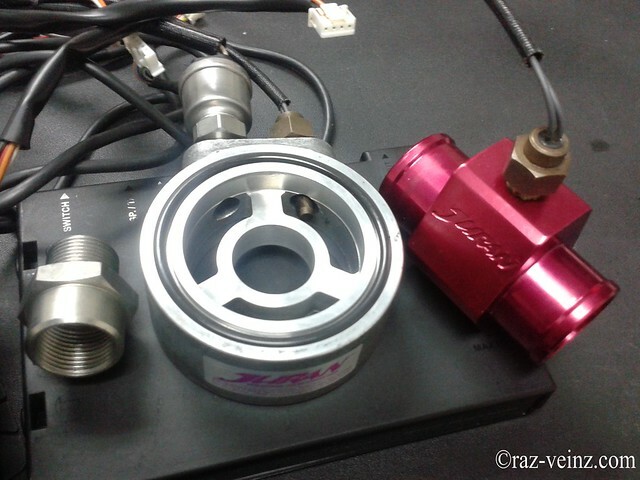 Need the separate sensor adapter/attachment , Juran Racing provide the precise, lightweight and coolest sensor attachment. 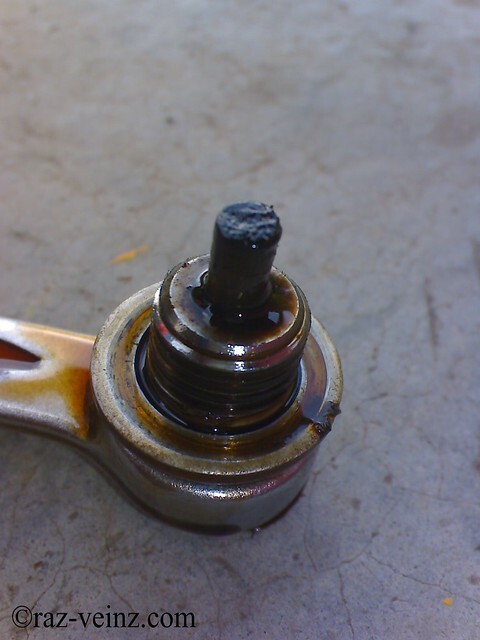 Take this chance to change the engine oil, just check out the magnetic oil sump bolt, have a few metal debris, hmm, a good buy. 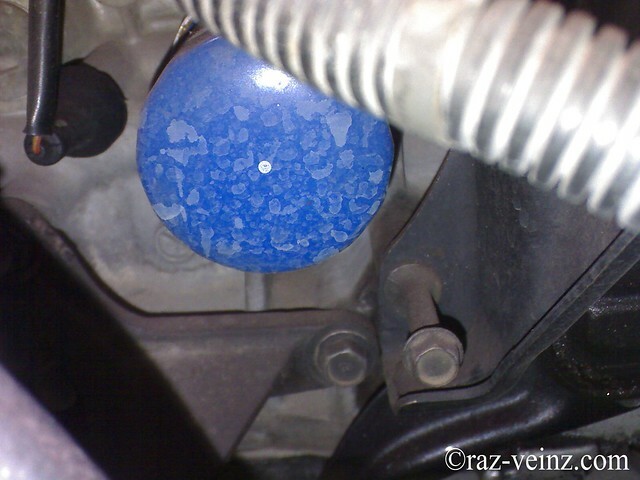 For more protection, I wrap the sensor cable with the flexible tubing. 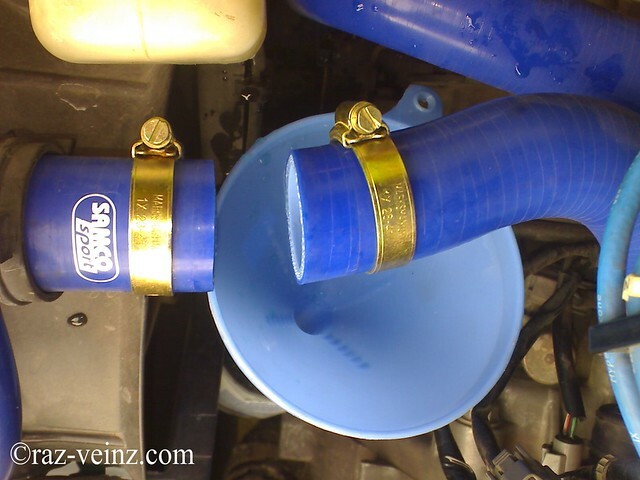 Cut the upper radiator hose, make sure not to spill the coolant everywhere (bad for environment and animal, also, you could reused the coolant). 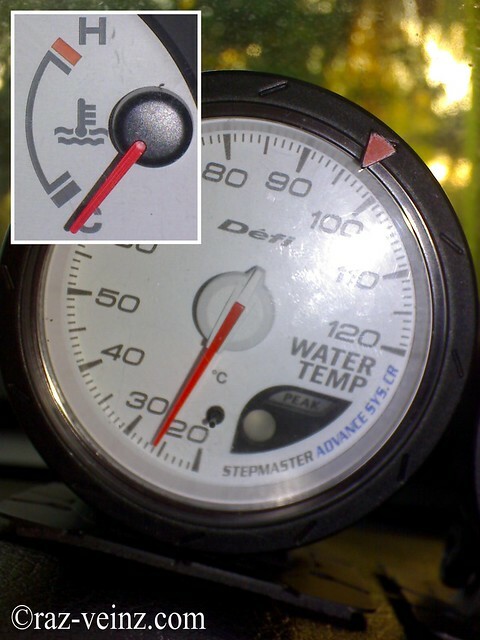 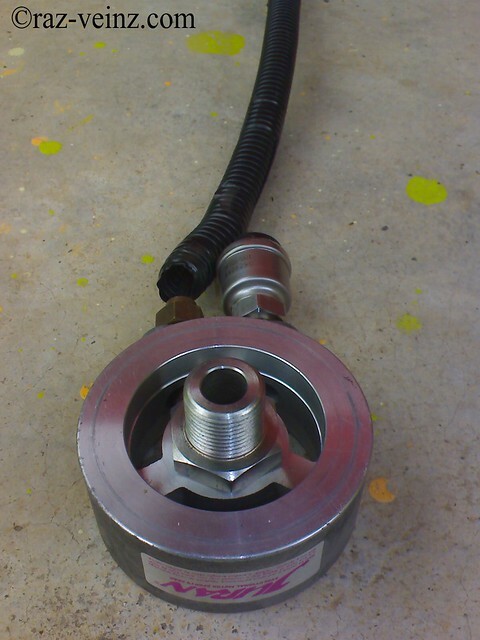 The correct angle to install the water temperature sensor is at the bottom side of an upper hose. 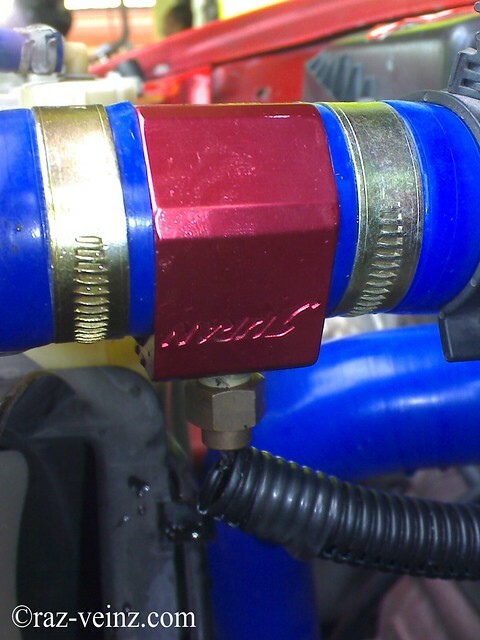 If a hose does not have mush coolant at the inside, a sensor on the top of the hose would not be exposed to the coolant. 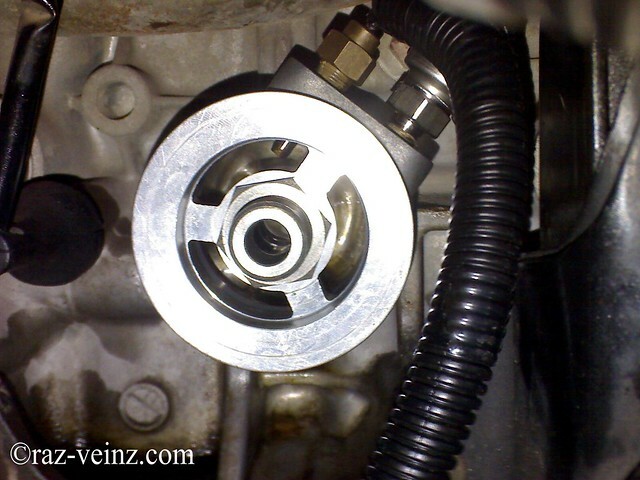 Then, do the coolant bleeding process, refer to my other page. 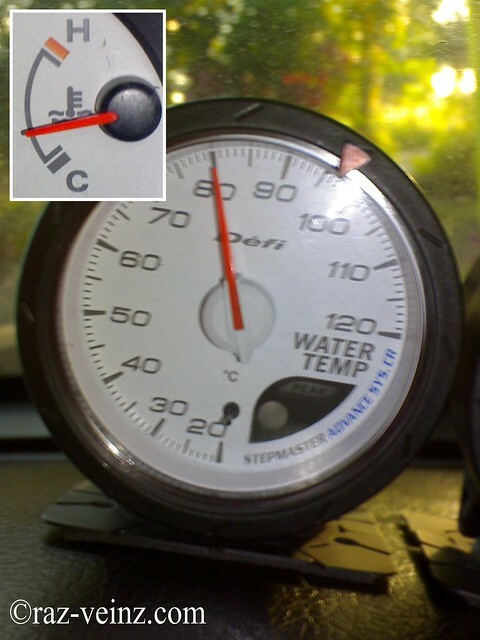 Oil temperature : 60 °c. 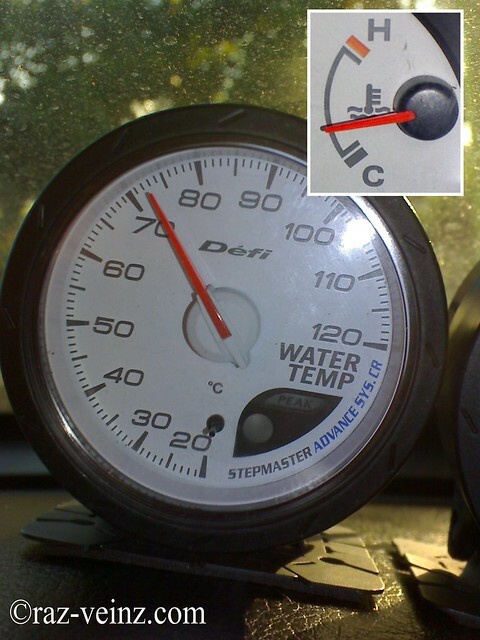 98 °c (Radiator fan on). 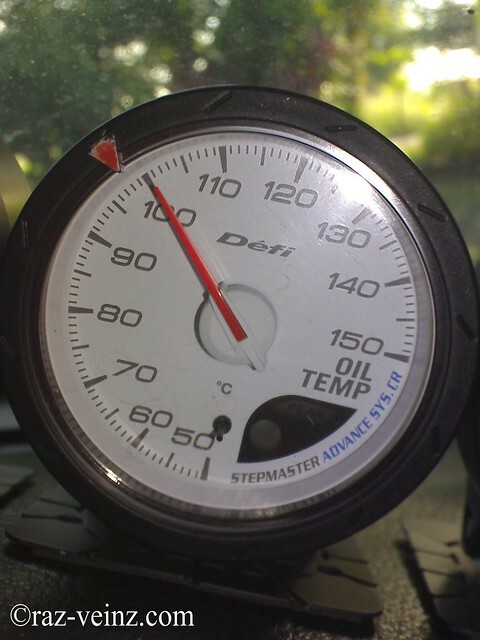 Oil temperature : 100 °c. 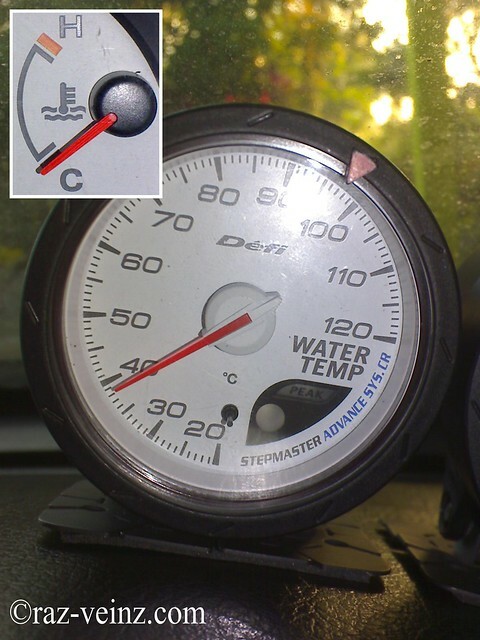 Conclusion : The stock meter really not accurate (in my case), are they put some resistor between reading 60 – 100 °c? 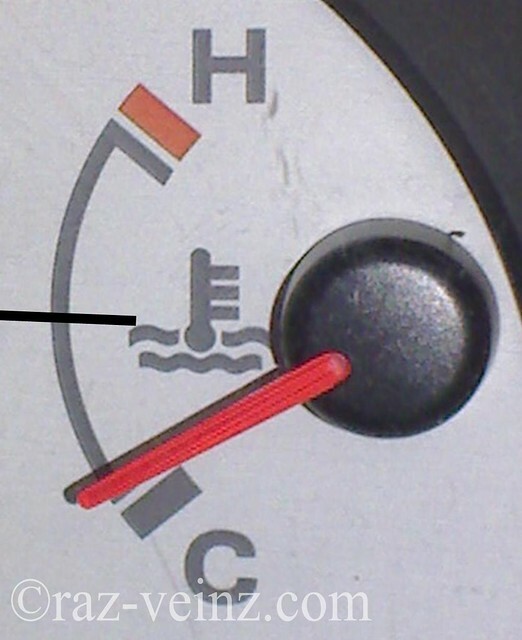 The stock dial didn’t move at all between that range. 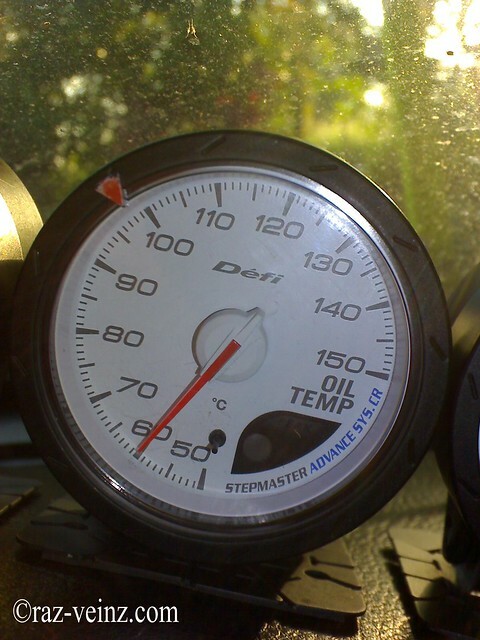 The late warning for high temperature will be very dangerous. 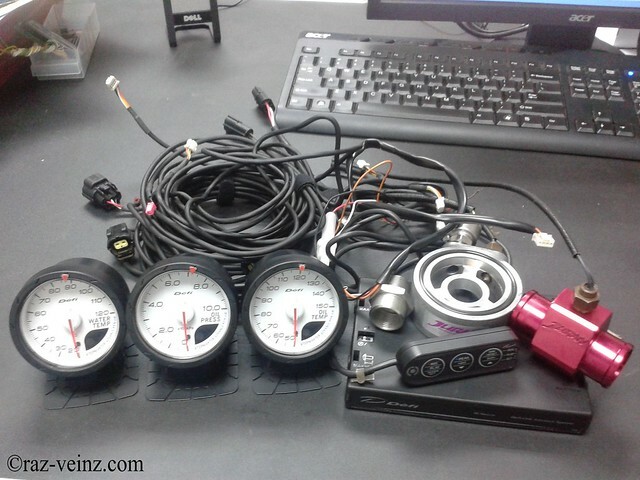 salam, satu set semua berapa duit?